What Would You Change About... Forsaken World? What Would You Change About… Forsaken World? 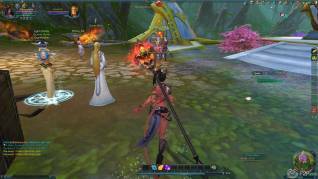 Perfect World Entertaintment’s answer to a free to play World of Warcraft is the fantasy MMORPG Forsaken World, in the game players can choose from a variety of races and classed in the world of Eyrda that are suffering under the threat of dark forces. It’s all very familiar, the themepark style quest chains, the talent trees, the combat mechanics, there isn’t that much in the way of trying to be overly unique but the game has had some success over the years since its release. The game however has some major criticisms and in many cases seems like a dying game that is solely being targeted at the “whales”, the players still spending big bucks to enjoy the end game content. In our “What Would You Change About…. 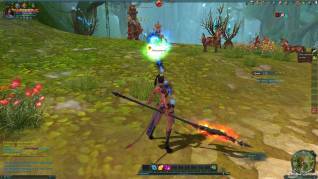 ?” we’ll take a look at why we think the casual player is being pushed from Forsaken World. The Triple Money System - Three different unnecessary currencies. In the game players can collect Soul Coins, Gold and Leaves, three completely different currencies used in various different ways. Starting our players can spend Leaves in the cash shop, it is essential the premium currency and the most important currency for most players. Second to this is Gold, or Gold Coins, which are kind of difficult to get hold of without some serious farming, but they can be traded into Leaves (and vice versa) or spent on buying some specialised NPC services and can be traded with players; essentially players want Gold so that they can convert them into Leaves to get the best shop items. The Soul Coins are the basic currency, the most common and is amassed in great number to buy different pots and basic supplies. The problem is that after level 30 there is practically nothing to spend Soul Coins on, at least nothing of use, and players are heavily pushed towards farming Gold or buying Leaves in order to get.. well… anything. We say to be a truly free to play game you need to have access to more free basic features and not try to force players into boring farming if they aren’t will to spend cash. The Grind - Nothing to do apart from the same content over and over. As mentioned farming plays a big part in the game, as does grinding the same quests. So often players will reach a point where they cant pick up the next quest in the storyline until they have reached a specific level, but are left with no real content to play other than repeatable quests over and over to push through that break. As an Asian game brought to the west the farming element isn’t something new or unexpected, it seems to be part of so many import MMORPGs and a staple that the community are supposed to accept, creating long grinds and artificial (and in all honest bad) ways to keep people playing the game; there’s just not enough options of things to do outside of the grind and farming. AFK Training - Players get XP for not playing. If your system is such a grind that players aren’t going to want to play it then you have a fundamental issue on your hands, if to get around this you need a way for players to gain XP then your go to shouldn’t be “reward them for not playing out game”. This isn’t however a feature that is innate to the game, players will need Memory Fruit and Memory Lotus’ consumable to AFK level, which can be occasionally found in game or, far more easily, purchased in the cash shop Boutique; you can buy consumables to level your character. This isn’t a fun feature, this isn’t a needed features, it’s a “let’s make the game a grind so that people will pump money into the game to get through it”. What we would change is that there’s actually content that people would sooner play to gain XP instead of sitting AFK, actually be rewarded for effort and not deep pockets. PVP Is Pay To Win - If you’re not putting in money then don’t expect to be competitive. So built into the game is it to part with your real world cash that all the scoreboard leading players, regardless of levels, are those who spend cash. As there are so many ways to improve your stats, from resistence and mastery system, refining gear, shop-only items, etc, etc, then it would be practically impossible to have enough time to level up all these areas to dominate in PVP… and so people don’t. People pay to win whether at the top end or dominate non-paying players at the bottom end given that there aren’t any level limits on gear upgrades so players can buy their way to the top of the Arena. These are some of the things that we would change about Forsaken World, but what do you think? What would you change about this game? Would you add anything else to the list? We await your opinions! Let us know!!!! !